A submission to the Australian Competition and Consumer Commission (ACCC) by Google Asia Pacific (GAP) argues that there is no basis for allowing banks to band together for negotiations over the Android Pay platform. Bendigo and Adelaide Bank, the Commonwealth Bank of Australia, National Australia Bank and Westpac are seeking ACCC authorisation to engage in a limited form of cartel activity, engaging in collective negotiations with, and potentially limited boycott of, a number of mobile wallet providers. The application names three payment platforms: Google’s Android Pay, Samsung Pay and Apple Pay. As creator of the Android OS, Google has “significant bargaining power” in Android Pay negotiations, the application stated. “There is no allegation or evidence in the Applications or submission that GAP or any other Google Entity has engaged in any conduct detrimental to the applicants or that an ability to negotiate collectively and engage in a collective boycott is required for negotiations relating to the Android Pay service,” Google’s deputy general counsel, Matthew Sucherman, wrote in a submission to the ACCC. Sucherman said that the applicants hadn’t claimed Google restricted use of the Android Near Field Communications interface, for example. The banks' application cites Apple restricting access to the iPhone's NFC antenna, which is can be used for contactless payments, as an example of a barrier to competition. Sucherman added that there are numerous digital wallet services available on Android and the fact that Google is the developer of the platform “gives it no particular advantage” because of Android’s open API for NFC. The submission also noted that Google does not charge card issuers for participating in Android Pay. “Finally, there is no allegation or evidence that Android Pay inadequately protects against fraudulent activity,” Sucherman added. The submission asks that the ACCC seeks confirmation from that the bank’s application is “not, in fact, intended to extend to negotiations with GAP for the Android Pay service”. In the absence of such confirmation, Google requests that Android Pay not be part of any grant of authorisation. “In addition, GAP reserves the right to submit a response to the Applications demonstrating that there is no basis on which authorisation should be granted in respect of any negotiations related to Android Pay,” the submission added. 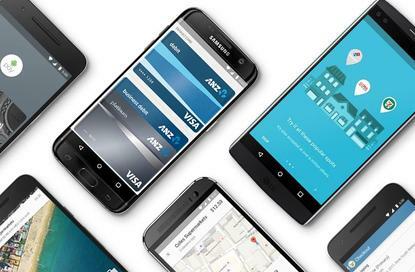 ANZ currently supports Android Pay; of the big four banks it is also the only one to offer Apple Pay support. Westpac has previously indicated it intends to support Android Pay in the near future, and a number of smaller financial institutions currently support the service. Apple has also hit out at the banks’ application to the ACCC. The banks “based on their limited understanding of the offering... perceive Apple Pay as a competitive threat”, Apple argued in its submission. The application has drawn support from Heritage Bank, the Australian Retailers Association, Tyro Payments and Coles. The ACCC has said it expects to issue a draft decision in October.